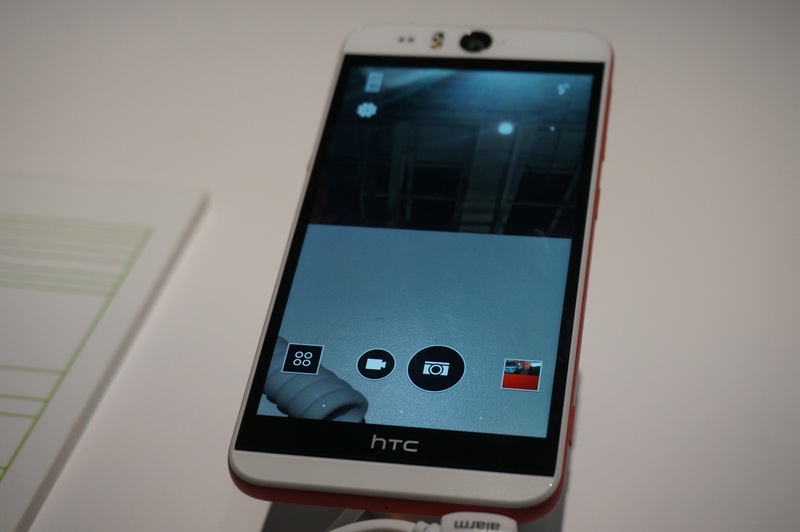 HTC hosted their Double Exposure event tonight in Manhattan. We were there and what we saw was damn exciting. Two new devices, tons of new software stuff and lots of talk about cross-platform. Let’s dig in. First up, the Desire Eye. This new handset sports a Snapdragon 801 processor, very nice display and a really great plastic body. The build quality on this phone is amazing. You’d have to feel it to understand. That’s all well and good, but the real story with the Eye is the cool camera stuff. Not One, but two 13 megapixel cameras. One in the front and one in the back. If that’s not enough, the Desire Eye is capable of capturing photo or video from both cameras at the same time. The software is capable of focusing on up to four faces at a time and can event four commands. Speak “cheese” for a photo or “action” for video. Neat stuff there. It should be noted many of not all of these software features will be available to HTC One users within a month. The HTC Zoe app is officially out of Beta. Version 1.0 is available widely and allows users to upload photos and videos from any Android or iOS (Yep, you read that right) phone with a recent version. Make your own highlight reels, share them and let friends remix them. 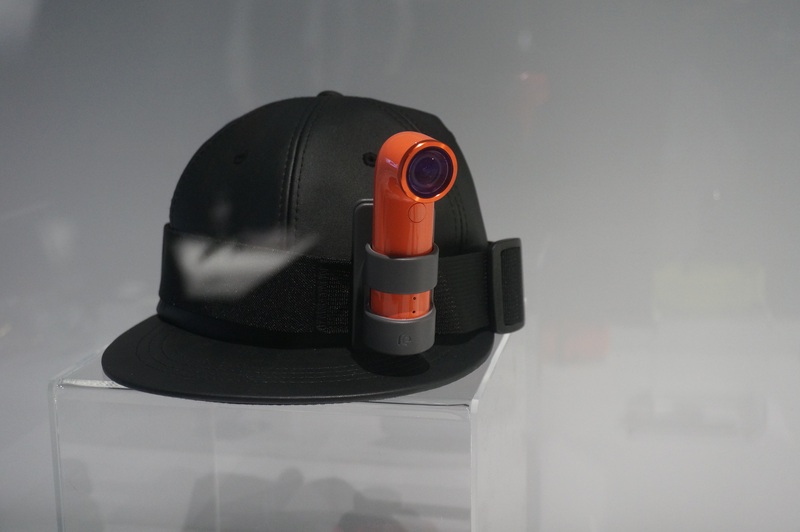 The Re is an action camera, sort of similar to the GoPro. Waterproof, wearable, mountable and all of that. There will be mounts a-plenty for this bad boy. Anywhere from your arm to your bike. There is a traditional mount on the bottom for a tripod as well. The bigger deal here lies in the form factor and camera itself. For starters, we are talking about all images at 16 megapixels. Video tops out at 1080p, but I don’t see that as a deal-breaker. Especially with how few people actually have a 4k display to use. The bigger deal is the form factor. The Re looks like a periscope on a submarine. This fits in the hand better and having a button where one’s thumb would naturally rest is awesome. Which brings us to the controls. One brief click for a still, hold for video. That’s it. There’s no viewfinder and no need for one. Thanks to the over 140 degree wide angle lens, just point it at your subject and fire away. Photos and videos are saved to a micro SD card and can be wirelessly transferred to smartphones running the most recent versions of Android or iOS. 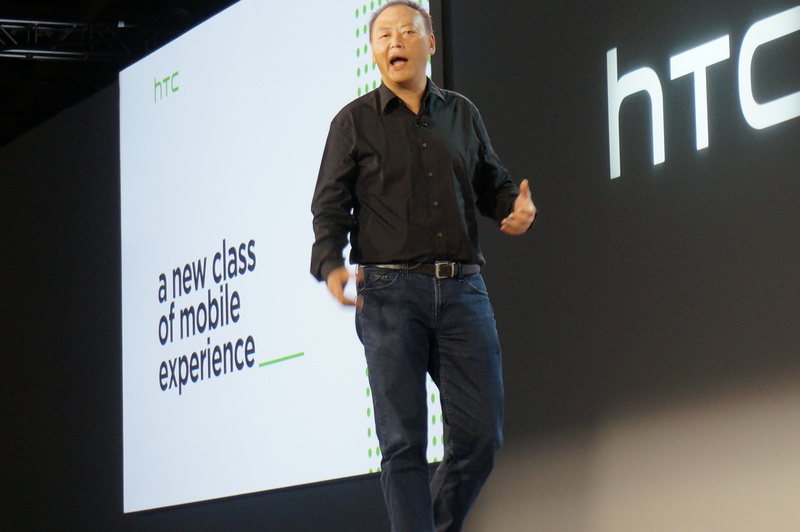 To boot, HTC is opening up the APIs on this one, so devs will be able to have a field day. A new phone, new camera, new software in New York. What a great night and great show it was. Of all the things, I’m most excited for the Re and what users and developers will do here. I’m most impressed with HTC opening up their software to Apple User’s. I really do feel it’s a shame everyone doesn’t make a huge effort to be cross-platform. Perhaps I’m just an idealist…..but let’s be hopeful.